The UP state government has launched a scheme for Anganwadi workers. 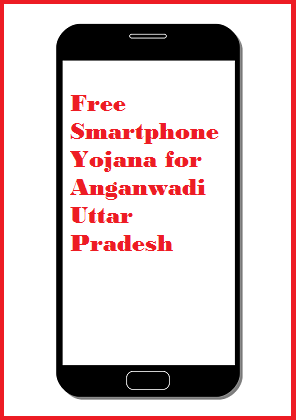 The scheme is termed as New smart phone Yojana. Free mobile phones will be given to the registered workers by the government under this scheme. The new scheme was announced by CM Yogi Aditya Nath and his cabinet. The new scheme was launched for the year 2017 and the process of registration will begin from October 2017 for the applicants to get registered under the scheme. Main objective – Smart phones to be provided for free is the main objective of the state government. The phones will be given to members of Anganwadi samithi. The state government will be distributing over 60,000 mobile phones amongst workers in various districts. Digital connection – By distributing free smart phones to the workers the state government has also taken a step ahead to get these workers connected to the centre even from most remote places within the state. Making use of the new technique, the workers can now stay connected to the state government via government websites. Eradicate scams – Also as the state government has noticed unlimited scams taking place at the grass root level, so under the scheme the government aims at eradicating the scams within Anganwadi as the workers can make use of smart phones to directly get connected to the digital India site. Knowledge – With the implementation of the new scheme, the state government also aims at educating the Anganwadi workers to get started with making use of the available technology, so their benefit. This will get them educated with latest updates. Free Tablets- Under the new scheme the state government will also distribute free tablet PC for the workers of Anganwadi so each worker can maintain their personal account on their tablet PC as well so it can easily be updated and viewed by them at their convenience. Besides, this will also help the process of communication to speed up as workers can now make use internet to stay connected. Updated with schemes – As the Uttar Pradesh government is launching a number of schemes to benefit the people from urban and rural areas, so by smart phones and Tablets, the workers can now collect all detailed information related government schemes and policies at their convenience. They can now get registered with government website and take full benefit of each scheme. Inbuilt App details – The state government will also install a new application on the smart phones and tablets before distributing them. Using the app the anganwadi workers can immediately get connected to the various schemes and policies launched by the government. They will be able to upload and download information related to schemes and policies. To be eligible under the scheme the beneficiary needs to be the citizen of Uttar Pradesh by birth as the government has only announced the scheme to be launched within the state’s limits. The officials have also made it very clear the scheme will be offered for workers in the Annapurna and Anganwadi, so to be eligible under the scheme the beneficiary has to be a registered Anganwadi and Anapurna Worker. He or she may have to provide with their valid Job ID. Under the new scheme the state government has announced a set budget of Rs 27 crore that shall be invested by the state government to purchase smart phones and tablets for the workers of Aganwadi to be distributed for free. To apply under the scheme the worker has the convenience of filling in the application forms online. The candidate has to first visit the state governments official website. Select application form option from main page and you shall be redirected towards next page that will display the application form. The details in the form have to be filled in by the applicant. It is important to provide with valid information. Once filled, the application form can be submitted and registration number can be saved for future reference. With the new scheme the state government aims at digitizing each sector in urban and rural areas with an aim of improving the communication within departments and the state government.